Dunia graduated in 2005 from The Virginia School of Dog Grooming and joined the Bark ‘N Bubbles team in 2010. 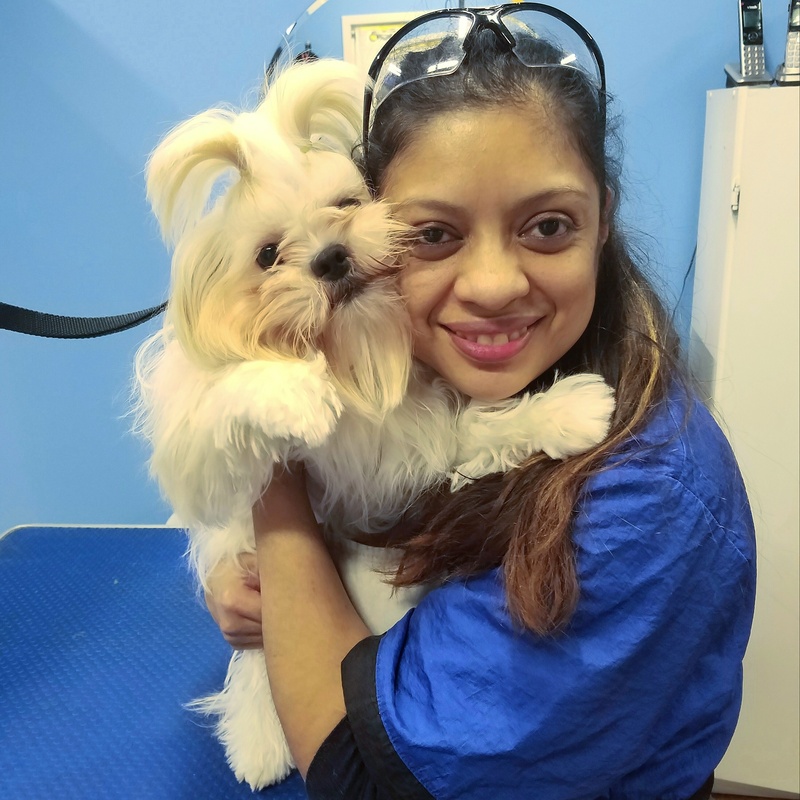 An avid animal lover, Dunia has 3 dogs of her own – a Cockapoo named Joy, a Schnoodle named Junior and a recently adopted Shih Tzu named Max II. When asked about how she decided upon a career in grooming, Dunia says that she started out grooming her own dogs. She soon discovered that she had a natural flair for it. That, combined with her affinity for animals, led her pursue the field full time. Dunia loves to groom dogs, particularly small dogs. To her it’s not just a job, it’s a passion. In her spare time, Dunia can often be found walking the neighborhood with her young daughter and their “pack” in tow.